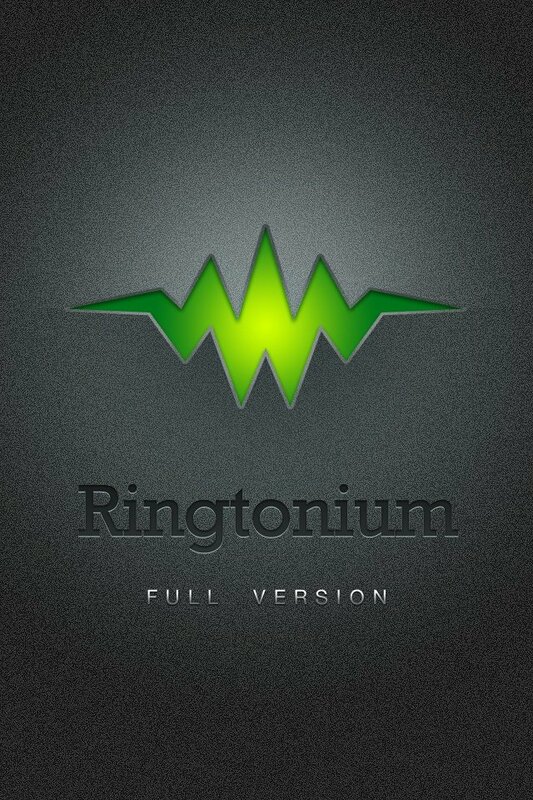 Ringtonium ($0.99) by Bamboo Group is an app designed by DJs and music gurus to create custom ringtones. 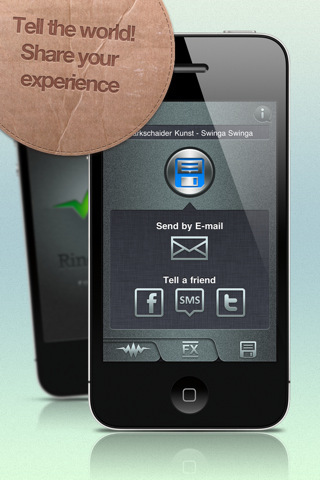 Bamboo Group has done a great job of creating not only an appealing app but also one that performs. 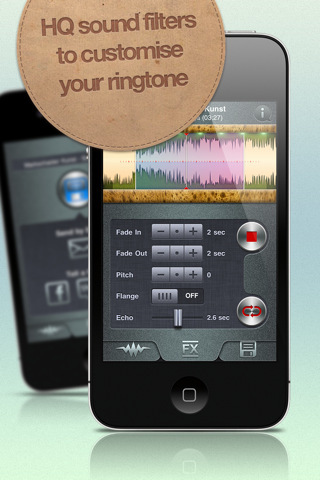 With Ringtonium, users are able to create ringtones from two sources. 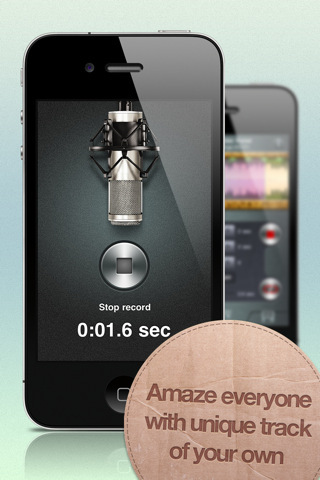 They can choose a track on their device or record something at that moment. Once a source is selected and imported, it can be edited to your liking. Once you’re satisfied with the end result, the track can be exported and shared through email, Facebook, SMS, and Twitter. When you first open the app you’re prompted with instructions from the built in help assistant. They’ve cleverly labeled every button for all the views and briefly described their functions. This is enough to get anybody up and going in a minute. Users also have the option of skipping the help assistant, but it is still available at anytime. To begin using the app users must choose a source. They have the option of importing a track from their music library or recording something. Regardless of which one is used, both have access to the same editing features. 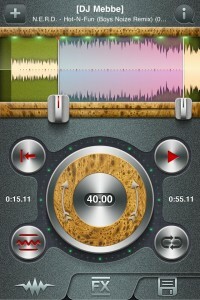 Once in the editing view, users can manually select the area of a track using the sliders or the macro wheel. Either will adjust the time to the hundredth of a second. To the left of the wheel is the beginning time of the selected area, and to the right the finishing time. In the center of the wheel, the total length is displayed. To the top left a sideways triangle will skip back to the front. 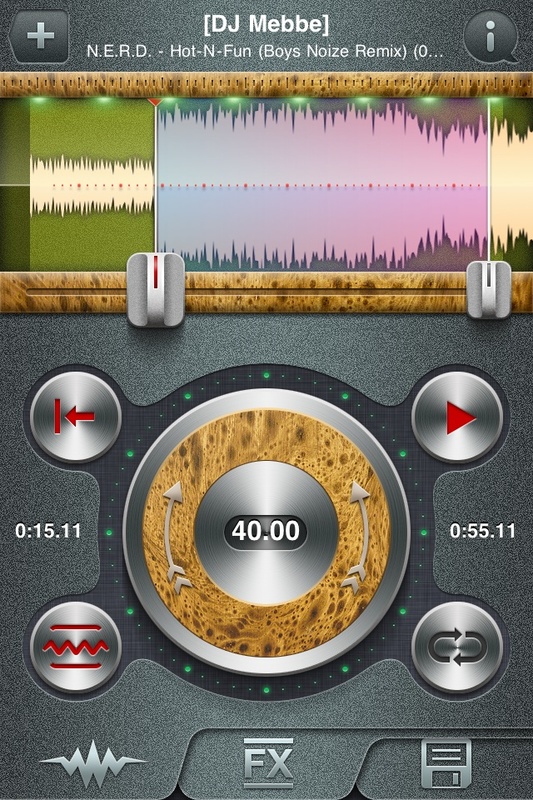 To the top right the track can be played and paused. The controls are very fluent and aren’t cumbersome. 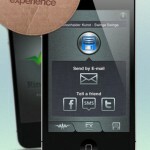 Though most users will figure out everything quickly, the help assistant also does a great job. The controls aren’t anything original or reinvented, however the effects tab is quite unique. Here multiple things can be adjusted to improve the song. 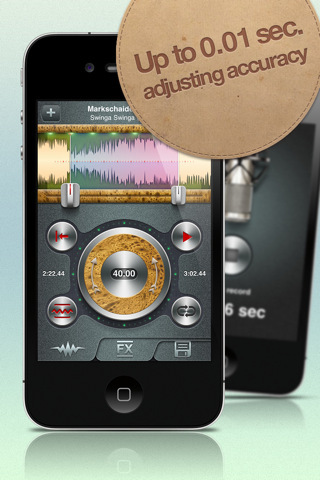 Users can fade in and out as well adjust the pitch. 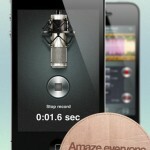 There’s also the ability to turn on flange as well as add echo to the track. 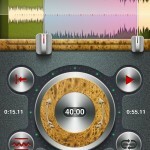 Once you’ve completely altered a song or recording, the last tab allows you to export. 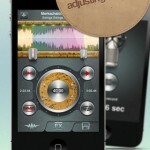 Though, exporting from the app won’t add it to your custom ringtones. 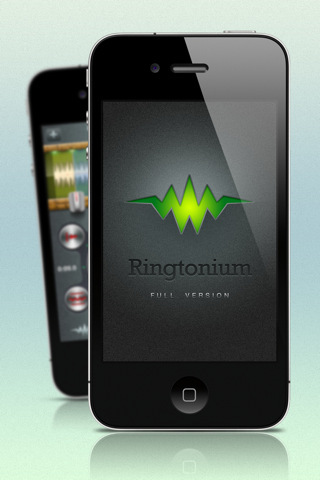 To access anything made in Ringtonium you must connect with iTunes and enable file sharing for Ringtonium under Apps. 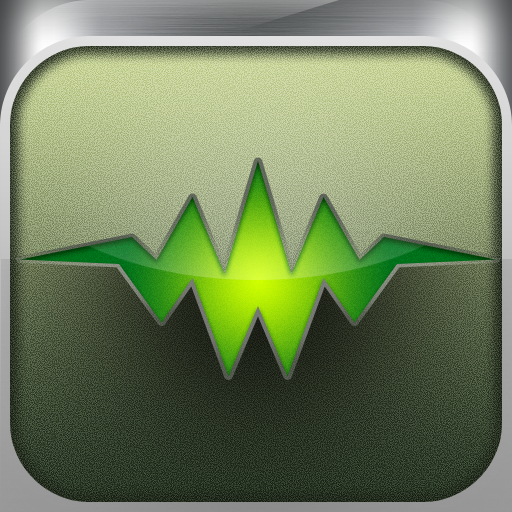 Save the created ringtones to your computer, copy them back into iTunes, and drag them onto your device. This is a lengthy procedure but is the standard for any non-jailbroken app. Hopefully in the future Apple will loosen its grip on developers and allow apps like this to export right into your device. 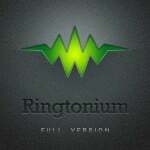 Overall Ringtonium offers an excellent user interface and plenty of features to create the best ringtones. 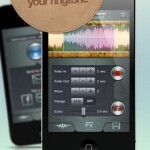 Even though putting custom ringtones on your device isn’t very practical, this app still has a lot to offer. 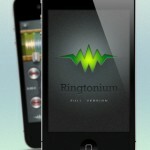 Be sure to check out Ringtonium in the App Store.